North Coast Assembymember Jim Wood, left, stands next to Paradise high school principal Loren Lighthall, who is seeing the remains of his home for the first time on Nov. 14. North Coast Assemblyman Jim Wood was 6,000 miles away from his home district, on a legislative study trip in Chile, when he got word Nov. 12 that he needed to return to California. The Camp Fire in Butte County that sparked Nov. 8 near Pulga and tore through the community of Paradise continued to rage and the grisly toll was beginning to become clear. Wood had been monitoring the situation before he left the country Nov. 9, at which point the fire had already razed more than a thousand homes, leaving some confirmed dead and scores more missing. A dentist by trade and a certified forensic odontologist, Wood had been instrumental in helping identify victims in the swath of fires last year that scorched stretches of Sonoma and Mendocino counties. Of the 40 people killed in those fires, Wood personally identified more than 20 of them, matching teeth and dental structures recovered from the ashes to dental records. Before that, Wood had aided recovery efforts in New Orleans' Ninth Ward in the wake of Hurricane Katrina and at Ground Zero following the Sept. 11 terrorist attacks on the World Trade Center. Wood had a pretty good idea of what lay ahead for Butte County and how difficult it would be for officials to reconcile missing persons lists with unrecognizable human remains. Before he and fellow lawmakers were sent to board a plane to Chile, where they were scheduled to meet with local officials to discuss emergency preparedness and disaster planning, Wood made some calls to contacts at the California Department of Justice, trying to figure out who was in place to coordinate the identification effort. He wound up on the phone with the Butte County deputy coroner. After hearing nobody was yet in place, Wood offered his services. But at that point officials still didn't know how high the death toll would climb or how daunting the recovery effort would be. They put Wood on standby. He called colleagues throughout the state, asked them to be ready, then boarded his plane. Things started to become clear a couple days later. 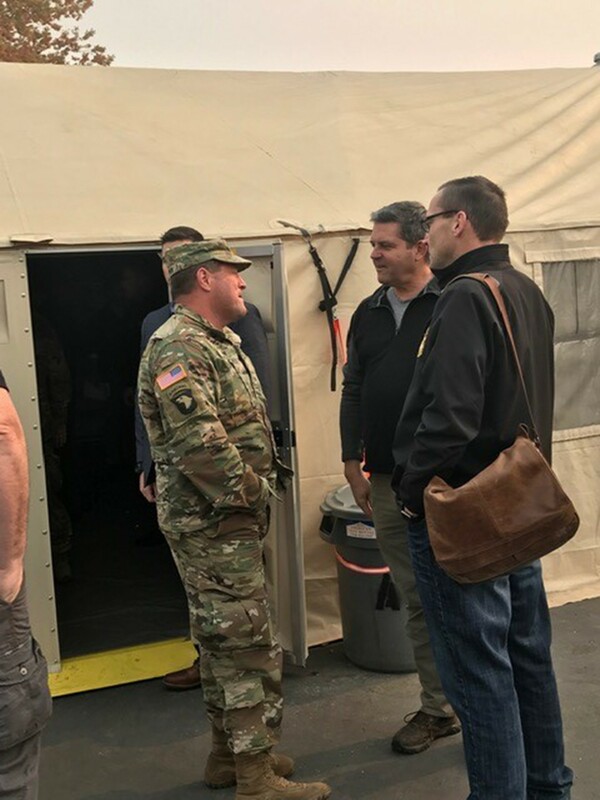 Nov. 12 was a Monday, and Wood said he passed it in meetings with officials from Chile's Office of Emergency Services discussing earthquake and tsunami plans, and forest fire prevention. "Chile and California have a long history of working together on things around emergency management," Wood explained. "It's like California in a lot of ways. They had a very severe forest fire last year, they face the threat of tsunamis and earthquakes. We were there learning from them." Then Butte County called, taking Wood up on his offer to lead the identification effort. They'd already found 29 bodies amid the devastation in Paradise, the fire was still raging and efforts to comb through the wreckage to find the deceased hadn't truly begun. Within hours, Wood was on a plane heading back to California. Forensic odontology isn't Wood's career. He ran a regular dental practice for decades before mostly putting it on hold to run for a seat representing the North Coast in the California Assembly. But Wood had been interested in forensic odontology since seeing a lecture about it in dentistry school and, after graduating, took some additional coursework on the subject and eventually became certified in the specialty in 1996. He said he generally doesn't get paid for the work, just reimbursed for some materials and costs. "I consider this, quite honestly, an extension of community service," Wood said. After a couple of days of phone tag, the Journal caught up with Wood for this story Nov. 16 after he pulled into a rest stop somewhere between the fire lines in Butte County and the morgues of Sacramento to take the call. He explained the process. The Butte County Sheriff's Office is working to compile a list of people reported missing in the fire-affected areas. That morning, the number had spiked from about 130 to more than 600. 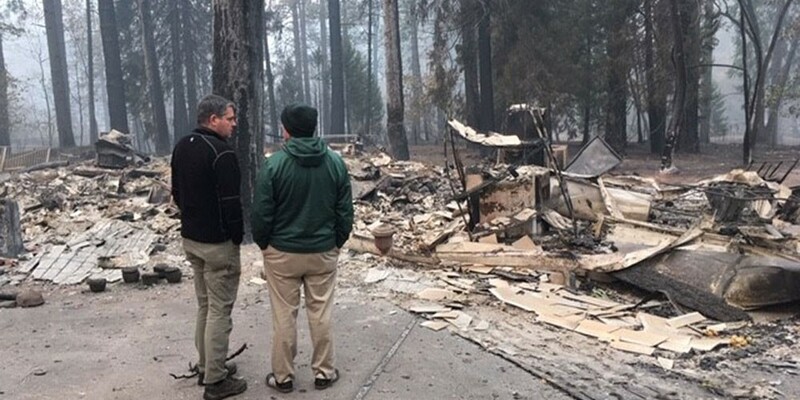 By the following morning, it had jumped to more than 1,000 as officials continued to receive additional reports and also comb back through emails and dispatch records for names that may have failed to make it onto the list in the chaos of the fire's first days. The sheriff's office has said it's erring on the side of including names on the list, which this week dipped into the high 900s. "I give you the best information that I have now," Butte County Sheriff Kory Honea told the New York Times. "We are not going to wait for perfect to impede progress. ... This is a dynamic list. It will fluctuate both up and down every day." Meanwhile, search crews have begun using investigators and cadaver dogs to comb through the ashes in areas where the fire has passed. As of Nov. 19, officials had confirmed 77 fatalities. Those who aren't immediately identifiable are being sent to a morgue in Sacramento, where Wood and his team work to identify them. Because teeth are the hardest substance in the human body, they're also the most resistant to fire. "When other things burn, the teeth can survive," Wood explained, adding that — in addition to DNA testing and any implanted medical devices — teeth are often the key to a positive identification. But that's all contingent on having something to compare them to. At this stage, Wood said his team's efforts have been focused almost entirely on gathering dental records for those reported missing, a painstaking process that involves reaching out to scores of dental laboratories and clinics in the Paradise area, accessing digital records where possible and, in some cases, picking up paper records where digital ones don't exist. The effort is obviously hampered by the fact that some of the clinics in Paradise burnt to the ground, as did the homes of dentists and others who worked there. While all the records are important, dental X-rays are the most useful, Wood said. Teeth and dental structures are a bit like fingerprints, Wood explained, as there's tremendous variation from person to person. Most obviously, there are the patterns and types of dental work that people have had done that can lead to a positive identification. But Wood said there are also clues in jawbone patterns, the shapes and configuration of tooth roots and distinguishing characteristics about individual teeth that can connect a name to unidentified remains, adding that a computer program aids the effort. "It's kind of like solving a puzzle," Wood said. "From a professional perspective, I like the challenge of trying to figure it out. And at the end of it, it's really all about helping these families to know. Not knowing is really, really hard on people. In addition to the emotional aspect, you can't settle estates, you can't deal with insurance." While a positive identification is an often crushing confirmation of a family's loss, Wood said it can also bring a sense of closure or at least an end to the uncertainty. There's also the fact that one family's confirmed loss means the retention of hope for the families of others reported missing. 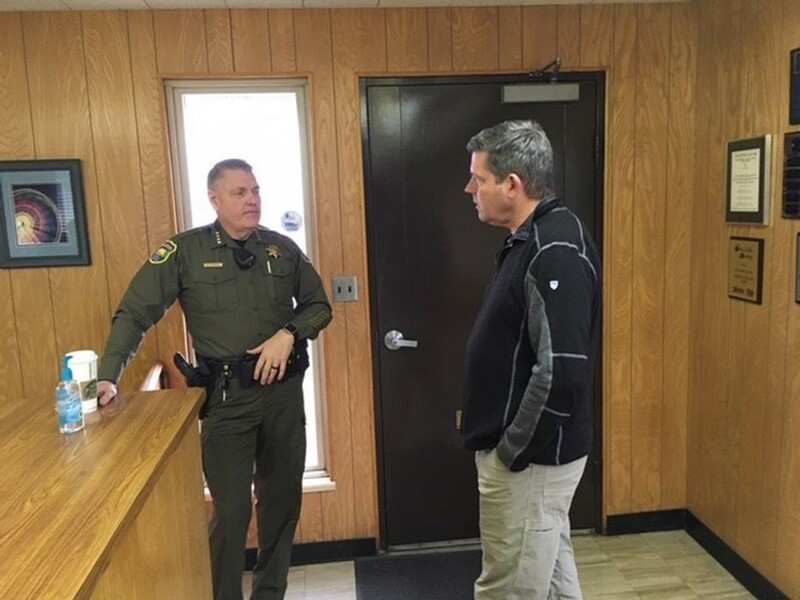 With so many reported missing — and the number seeming to continuously grow — Wood's task is daunting but he said he's got lots of help. As an example, he pointed to the fact that some local dentists and doctors have been proactively looking through lists of the missing, sending their records and, in a few cases, making contact with their patients and clearing them from the lists. Wood said he knows this search to find the missing and confirm the dead is just getting started. And the numbers from the deadliest wildfire in California history are only going to get worse. "Based on the rate of recovery, there could be 100 or more (deceased) and that is a big, big number," Wood said, adding that he realizes the effort will likely span months. "I've made a commitment to the sheriff's office that I would coordinate the identification efforts and I'll honor that commitment." 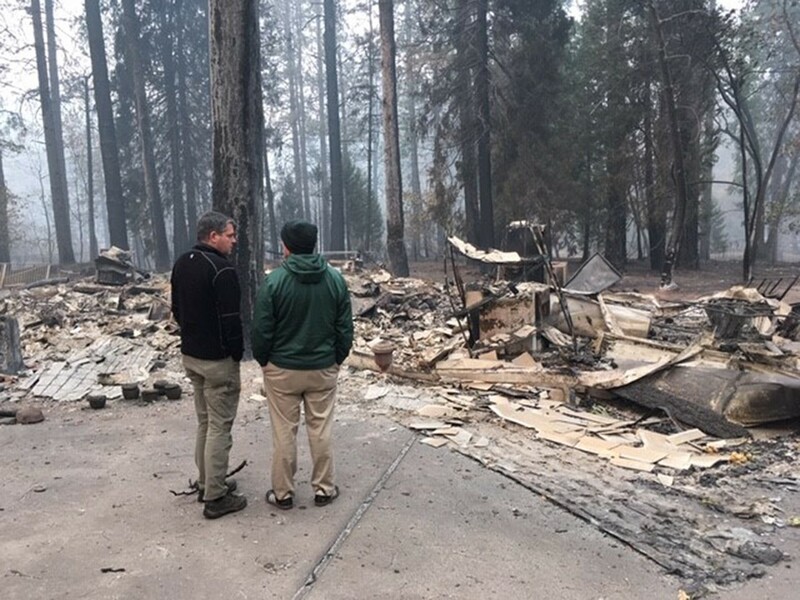 Putting on his lawmaker hat, Wood said one thing that really scares him is looking at the devastation in Paradise and realizing that while Sonoma is generally considered a fire risk, there are other areas of the state in far more danger of a catastrophic blaze. As an example, he pointed to the Sierras, where bark beetles have devastated forests, leaving them laden with dead, dry trees. "It's a pretty scary thought," he said over the phone, still at the rest stop, somewhere in the 85 miles between the Sacramento morgue and Paradise. Wood sighed. It feels good to help, he said. "So many people want to do something to help," he said. "I have the skill set that allows me to do something to help and, personally and professionally, there's some gratification in that, in knowing that I was a part of helping families."